Newly updated throughout, come home to peace and tranquility! This 3BR 2.5BA 1840SF home has an easy flow and awaits you with freshly painted designer colors, new flooring, new appliances and lighting, new bathroom sinks, faucets, and MORE! 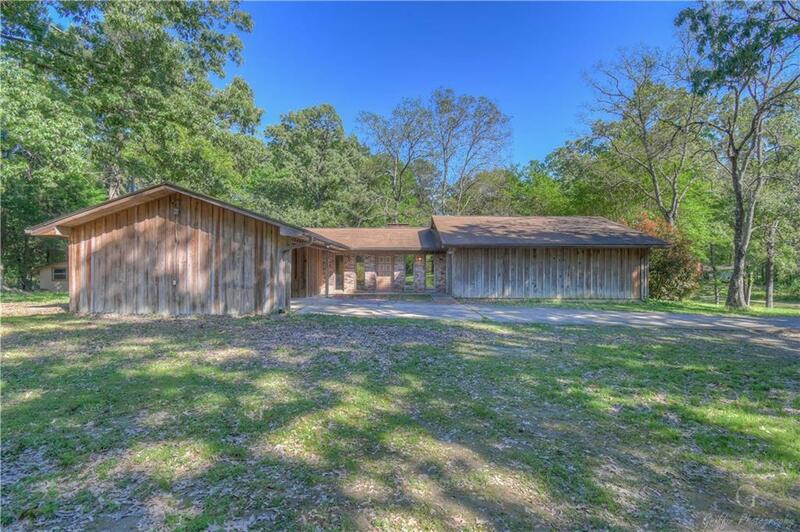 Your spacious dream home is an oasis on over two acres of beautiful property with mature trees and lovely terrain! Wake up to your new kitchen and open living area with cathedral ceilings while starting each day with a cup of coffee from the covered wooden deck off your dining or master bedroom. Plenty of room for entertaining and relaxing, inside and out! Directions: Take Texas St Across La-1 To Hwy 3191. Turn Left Onto Douglas, Right Onto Cele Cook Drive, Home On The Right.